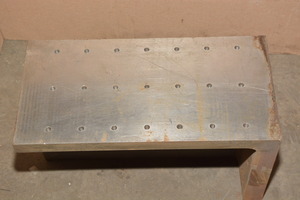 For sale is a 16" X 9" X 8" Steel Angle Plate. (1) 16" X 8" Face. holes, all on 3" centers. This angle plate is in good condition. truck ride to my shop.